Community healthcare EHR vendor CPSI will acquire Get Real Health, which specializes in patient engagement solutions for a variety of healthcare settings including physician practices. CPSI will move its acute and ambulatory customers to Get Real Health’s InstantPHR patient portal and CHBase health data repository – a transition it expects will save the company $1 million. Yesterday was World Book Day in the US, an annual event that’s been going on for 22 years to encourage literacy and publishing in 100 countries. Amazon is still celebrating by offering nine Kindle books from around the world for free. Check out the titles here. 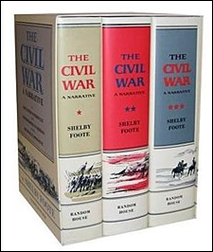 Reader comments: Anna confesses that her “somewhat guilty pleasure read is Shelby Foote’s three volume history of the Civil War. Being from the south, and having had multiple ancestors fight on the Confederate side, it’s been kind of a personal reckoning with history. I started last summer and am almost finished. Foote’s novelistic approach to history writing is gripping. Lots to learn about leadership. If we want to find about the roots of our politically divisive culture today, look no further than the lead-up to the Civil War.” Funnily enough, Anna’s note arrived the very same day I toured a local Civil War battlefield with a school group. Given that I’m a fan of Cold Mountain by Charles Frazier and Gone with the Wind by Margaret Mitchell, I’m definitely adding these to my summer reading list. 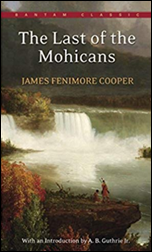 Books like these remind me of the nights spent with my family watching Ken Burns’ weighty PBS documentary about the war, in which Foote made an appearance. The theme song, “Ashokan Farewell” (which I eventually learned to play on the violin), still haunts me. 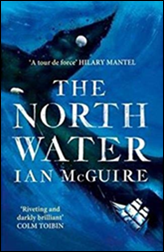 Have a military title to recommend, or World Book Day anecdote to share? Email me. Denver-based SonderMind raises $3 million in a Series A round led by Diōko Ventures with participation from other new investors that include Jonathan Bush. The startup has developed EHR and practice management software for behavioral healthcare providers, plus an online marketplace that helps connect patients with behavioral healthcare services. 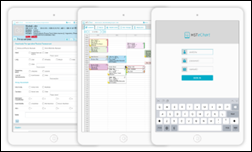 BetterPT integrates Clinicient’s online scheduling capabilities with its online marketplace for physical therapy patients and providers. Modernizing Medicine adds enhanced allergy documentation capabilities to its EMA for otolaryngology. The State of New Jersey will allocate $6 million to fund the roll out of new EHRs for community-based behavioral health providers, the majority of which have reported needing new or upgraded equipment. 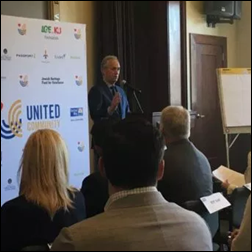 The New Jersey Innovation Institute will oversee the project, which will also include connecting providers to the New Jersey Health Information Network. Women’s healthcare company Kindbody raises $15 million in a Series A round that brings its total funding to $22 million. Launched last August, the company has focused on offering fertility and wellness services through mobile and brick-and-mortar clinics in California and New York, as well as virtual therapy and wellness sessions. 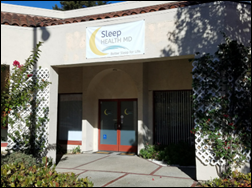 It recently started marketing directly to employers, and plans to soon offer mental health, nutrition, and gynecological services. 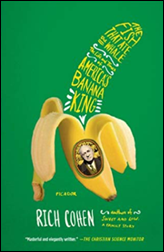 CNBC’s report last week on the not-so-new disease that may eventually wipe out bananas reminded me of “The Fish That Ate the Whale: The Life and Times of America’s Banana King.” Published in 2013, it’s an engrossing recount of how bananas became a household item in the early 1900s thanks to the entrepreneurial hustling of an emigrant named Samuel Zemurray. 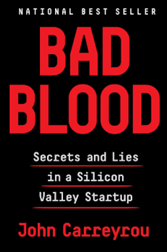 While not quite as intense as Upton Sinclair’s “The Jungle,” it weaves a similar story that may give you pause the next time you’re slicing bananas for your morning cereal or passing by a Banana Republic. Spring has sprung in my neck of the woods, which means festival season is in full swing. 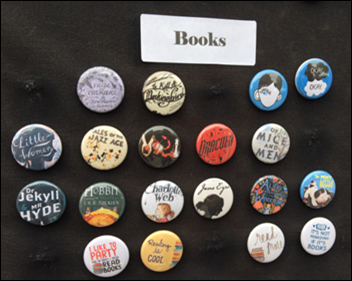 I was happy to come across a booth solely devoted to buttons, with a solid and surprisingly varied collection of fiction-related flair. It really doesn’t take much to make me happy. 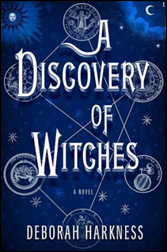 Reader comments: Nancy recommends “Discovery of Witches,” a trilogy by Deborah Harkness that recounts the trials and tribulations of a witch and vampire who fall in love, and decide to time travel. As I told her, I enjoyed the first two in the series, but found that by the third, the time travel twist had gotten hard to follow. Plus, the heroine had started to get on my nerves. 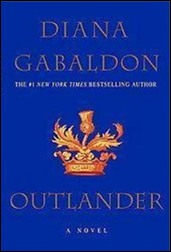 I in turn recommended the “Outlander” series by Diana Gabaldon, which will satisfy anyone who likes time travel intertwined with historical fiction heavy with military action, pirates, courtly intrigue, and romance. 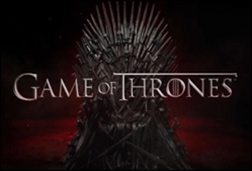 Both have been made into television series. Have a book recommendation involving food, well-done time travel plots, or non-exasperating heroines? Email me. 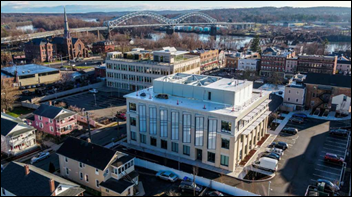 Community Health Center opens a 31,000 square-foot Knowledge and Technology Center in its hometown of Middletown, CT. The facility houses the nonprofit’s administrative staff, including 70 IT employees. 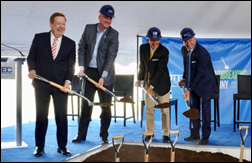 The new three-story building is adjacent to CHC’s primary care building, which also offers workforce development, telehealth, and educational programs. 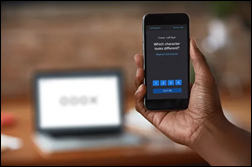 Inc. profiles San Francisco-based startup Karuna Health, which has developed patient engagement software that also acts as an EHR-friendly “shared inbox” for a patient’s providers. The company, which has raised $1.3 million so far, is focused initially on serving Medicaid populations. It has contracted with Coordinated Behavioral Care, which serves 50 health and human services agencies in New York City. 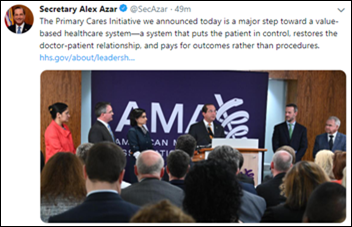 The Center for Medicare & Medicaid Innovation develops five new primary care payment models that focus on value-based care. 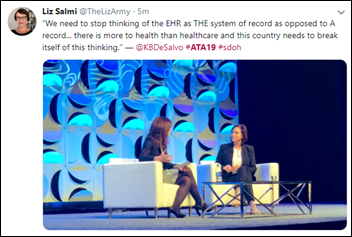 Technology isn’t mentioned in the brief summary of each, but I’m betting practices that have already fine-tuned reporting capabilities within their EHRs will find participation easier than those that haven’t. Those that haven’t may not have the time or resources to look into participation requirements. Hopefully Dr. Jayne will weigh in later this week with her take on the feasibility of these models for independent and small practices. Steps to Recovery (PA) secures millions of billing-related documents connected to 145,000 patients after cybersecurity expert Justin Paine discovers them publicly exposed on the Internet. Paine believes the recovery center has yet to notify patients. 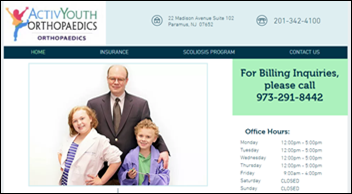 ActivYouth Orthopaedics (NJ) notifies patients of a January ransomware attach that may have resulted in hackers accessing and using PHI for criminal gain. 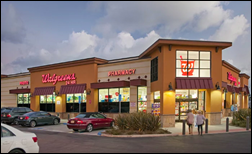 Practice owner Ronald Snyder, MD was able to restore files from backups. EClinicalWorks will exhibit at the NAACOS Spring 2019 Conference April 24-26 in Baltimore. Ro raises $85 million in a Series B round that comes just seven months after a similarly-sized investment from FirstMark Capital. 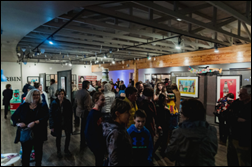 It has raised over $200 million since opening for business two years ago. 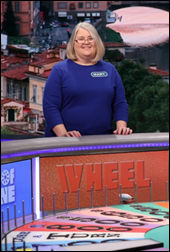 Investors now give it an on-paper value of $500 million. It added menopause-related health and wellness goods to its line of telemedicine-prescribed products that include erectile dysfunction and smoking cessation. 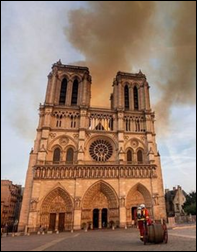 Like others around the world, I was shocked to hear of the Notre Dame fire. 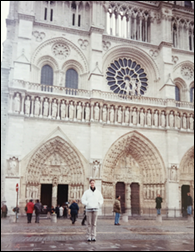 The French landmark epitomized the Parisian experience for me when I visited nearly 20 years ago. Hearing of its near demise made me think of my favorite Ken Follett novel, “The Pillars of the Earth,” which follows a family of church builders over several generations and across several countries during the 12th and 13th centuries. If you’re a Romanesque or Gothic architectural buff, do yourself a favor and read his entire Kingsbridge series. I’d love to hear about other architecture-inspired books. Email me with your suggestions. 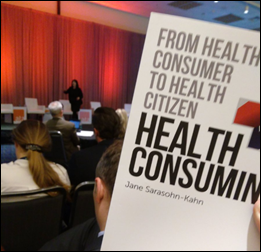 In keeping an eye on the #ATA19 tweet stream, I came across the debut of “HealthConsuming: From Health Consumer to Health Citizen” by Jane Sarasohn-Kahn. She strives to show “how bearing the growing burden of healthcare costs, coupled with opportunities to engage in health in their local communities and leveraging digital health technology, can and should give consumers the power to demand more from providers and products while protecting privacy rights.” In slightly related commentary, thanks to Mike, who alerted me to physician office telemedicine offerings (and a handy infographic on the history of telemedicine) at the show from EVisit. 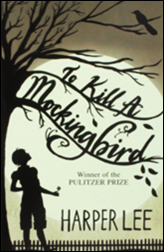 Reader comments: Gary agrees with my observation that books are typically better than their big-screen versions, with one notable exception: “’To Kill A Mockingbird.’ The book was good. The movie was fantastic. Gregory Peck’s performance was outstanding. 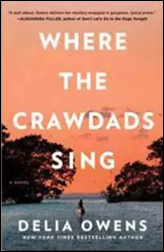 The movie still regularly makes the top 10 of the best movies ever made lists.” Beth recommends “Where the Crawdads Sing,” which describes the predatory adventures of a young girl who lives alone in the swamps of North Carolina. HSTpathways releases an updated version of its EChart EHR for ambulatory surgery centers. 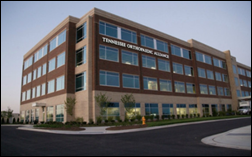 Tennessee Orthopaedic Alliance selects care coordination software from MyHealthDirect, and will integrate it with its NextGen practice management system across 21 locations. 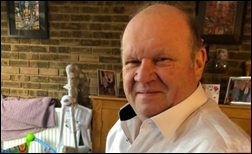 Stephen Saville (CareerStaff Unlimited) joins Cross Country Healthcare as EVP of operations. Nurx names Varsha Rao (Clover Health) CEO. Toronto-based OnCall Health raises $1.5 million in seed funding, which it will use to expand in Canada and the US. A federal opioid strike force uses claims data to find and identify 60 doctors, pharmacists, and other medical professionals who have allegedly been involved with pushing opioids and healthcare fraud. All told, the perpetrators wrote 350,000 prescriptions for controlled substances and were involved in more than 32 million pills.